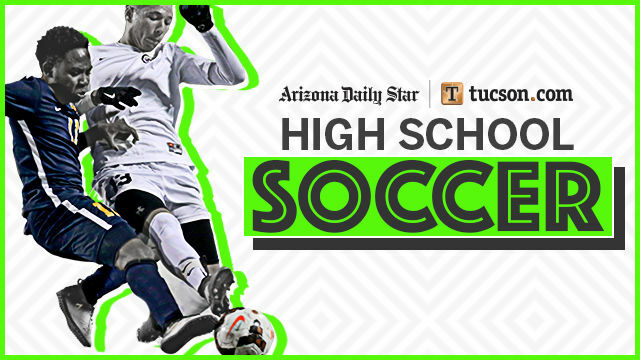 Ironwood Ridge's top-seeded girls soccer team will host ninth-seeded Cave Creek Cactus Shadows at 6 p.m. Wednesday with a chance to advance to the Class 5A state semifinals. The Nighthawks opened up the playoffs last week with a 4-0 win over 16th-seeded Avondale Agua Fria. No. 12 Nogales at No. 5 Cave Creek Cactus Shadows, 7 p.m.
No. 10 Cholla at No. 7 Phoenix Sunnyslope, 7 p.m.
No. 12 Tucson High at No. 5 Gilbert Highland, 7 p.m.
No. 12 Pueblo at No. 5 Goodyear Desert Edge, 7 p.m.
No. 13 Phoenix Greenway at No. 4 Sahuaro, 7 p.m.
No. 11 Glendale Cactus at No. 6 Salpointe Catholic, 7 p.m.
No. 9 Cave Creek Cactus Shadows at No. 1 Ironwood Ridge, 6 p.m.
No. 10 Rincon/University at No. 2 Queen Creek Casteel, 6 p.m.
No. 5 Catalina Foothills vs. No. 3 Flagstaff at Flagstaff Coconino High School, 6 p.m.
No. 6 Prescott at No. 3 Salpointe Catholic, 6 p.m.
No. 7 Sahuaro at No. 2 Phoenix Arcadia, 6 p.m.
Tuesday night's results and Wednesday's playoff schedule.